The best business continuity investment you’ll make this year! 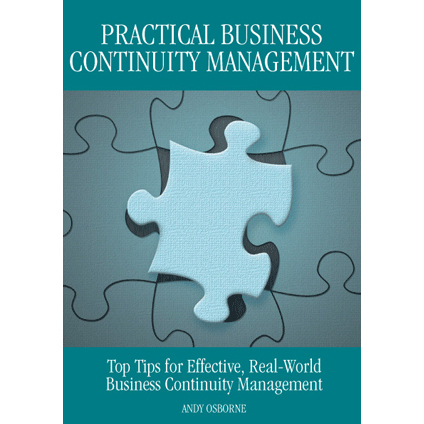 This book is aimed at anyone with responsibility for, or involvement in, developing, maintaining or testing their organisation’s business continuity management programme. Whether you’re a new or an experienced practitioner, and whatever your specific role within your organisation, if you have an interest in implementing and maintaining an effective business continuity management programme, this book is for you. 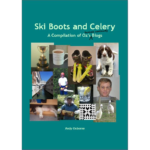 It contains dozens of useful and practical tips, distilled from many years experience developing, maintaining and testing business continuity strategies, solutions and plans; tips that will help you to develop and maintain a business continuity capability, rather than just a business continuity plan; tips for getting the best out of your business continuity programme in the real world. An acknowledged expert in the field of business continuity management, Andy Osborne has spent almost twenty years helping many and varied organisations, across a broad range of industry sectors, to develop, implement, prove and maintain their business continuity capability. 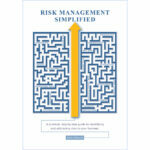 Andy regularly presents on business continuity and risk management in the UK, Europe and the United States. 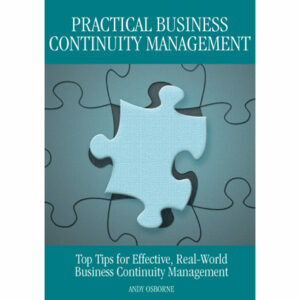 Be the first to review “Practical Business Continuity Management – E-book” Click here to cancel reply.